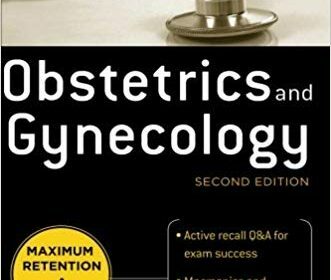 Deja Review: Obstetrics & Gynecology boils down your coursework to just the critical concepts you need to know for exam success. This unbeatable guide features a quick-read, two-column, “flashcard in a book” Q&A format. – specifically designed to help you remember a large amount of pertinent information in the least amount of time possible. The format allows you to zero-in on only the correct answers to promote memory retention and get the most out of your study time. Great for last minute review of high-yield facts, Deja Review provides a straightforward way for you to assess your strengths and weaknesses so you can excel on the clerkship and the USMLE Step 2 CK. Comprehensive multiple-choice Q&A chapter at the end of the book.